Die obigen Angaben sind nur als Referenz. 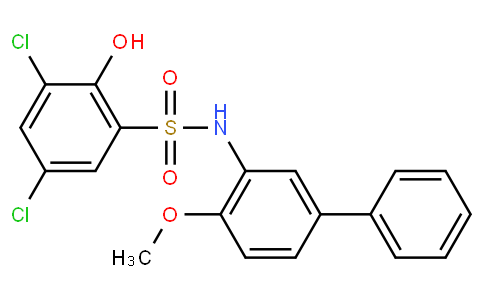 Weitere Informationen finden Sie unter Spec of 3,5-dichloro-2-hydroxy-N-(4-methoxy-[1,1'-biphenyl]-3-yl)benzenesulfonamide 943962-47-8.pdf. 1H-NMR file need you Sign up or Log in to view or download. You also can through below form to request documents for MOA,ROS,1H-NMR.